Gastec – Japanese manufacturer – is a world leader in monitoring and detecting gases and vapors using gas detector tubes (colorimetric and dosi-tubes). They provide more than 600 references available in 3 to 5 days thanks to their European stock based in the United Kingdmon. 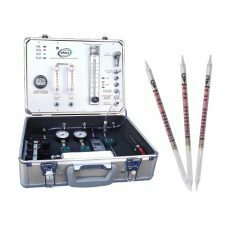 A colorimetric gas detection tube is perfectly suitable for one-off measurements or when there is no available classic device to detect and measure particular substances. This easy-to-use, accurate and cost-effective device requires no particular technical skills. There are four tube categories. This one-off measurement equipment (instant measure) is composed by a tube specific to the targeted gas and a manual air sampling pump. This combination is inseparable. Only a few activations of the pump (from 1 to 3 pump strokes) are enough to get an accurate measure within seconds. This is by far the most popular gas detection tube solution! 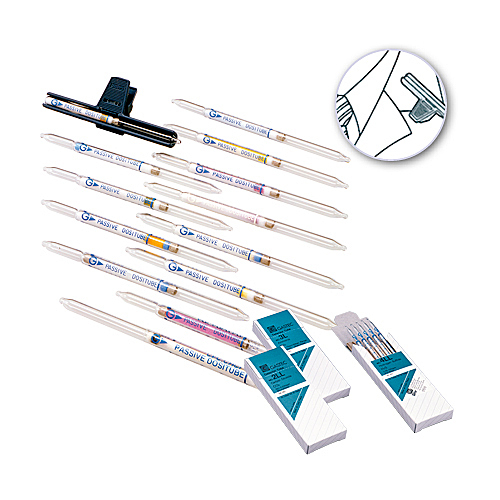 Dosimeter tubes– or dosi-tubes – are a bit different than colorimetric tubes. They are TWA measuring equipment (Time Weighted Average value). They provide an average measurement of determined hazardous substances on a specific duration – 8 hours usually. This one-off measurement device is composed of a specific gas detection tube added to a pyrolysis battery system and a manual air sampling pump – the same as the one used for classic colorimetric tubes. Only a few pump strokes (from 1 to 3) are enough to get accurate measurements of refrigerant or asphyxiating gases concentration levels. Airtec tubes are designed to get fast and easy measurements of compressed air cylinders air quality for self-contained breathing apparatus, PAPR airline systems and diving bottles. This monitoring and control unit for air contained in compressed air cylinders is dedicated to get better safety. 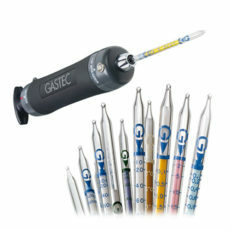 It is recommended to store Gastec tubes in a cool (from 0 to 10°C) and dark place to keep their quality. Any direct contact to sunlight could damage the reagent of the tubes. 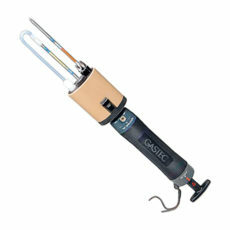 Never store Gastec tubes in places where the temperature is higher than the normal or their accuracy could be affected. Used or expired tubes – break both ends of expired tubes – shall be plunged in water (no more than 20 tubes in 5 liters of water) during several hours (or all night long). The glass tubes can then be disposed with other glass garbage. The water can be poured into the sewers. As the quantity of reagents is minimal, there is no risk for people and environment. 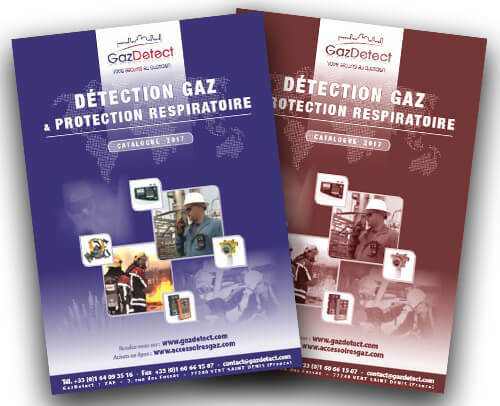 Gastec is a key partner for GazDetect thanks to its very large range of colorimetric gas detection tubes and its technical expertise. 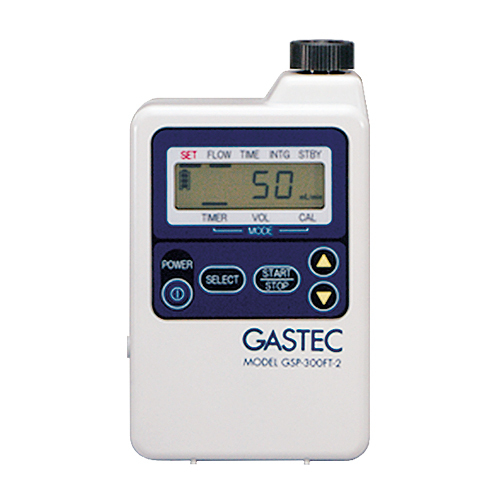 With about 600 specific tube references like dosimeter tubes (TWA measurement), pyrotec tubes (specific to freons and anaesthetic gases) or Airtec tubes (to analyse breathable air quality), Gastec is a major player for one-off gas monitoring using gas detection tubes.